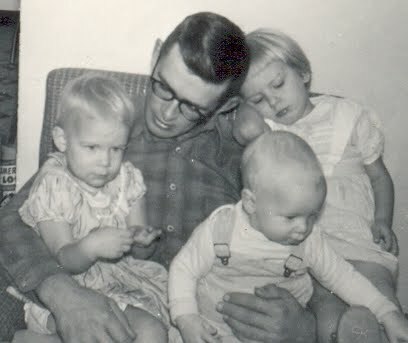 Dad with his beloved Herfords. Recently he's added a few Angus. 2. He loves his land and his animals. The sandhills where he grew up have always had a special place in his heart and I think it is his great joy to be able to work there. His cattle are gentle because that's how they've always been treated. Every year he provides our family with a portion of beef. We were raised eating that beef and raised our sons eating it too. We were eating grass-fed beef when eating grass-fed beef wasn't cool. 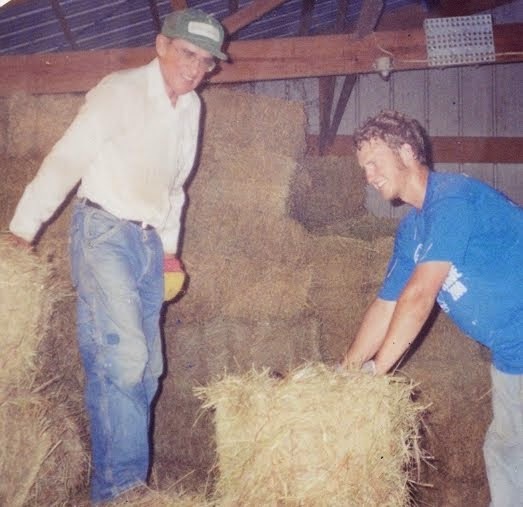 Biggest job on the farm--putting up the hay. 3. He works really hard. All the time. I think Dad retired once. It was a long time ago and it was from his public accounting job. That just meant he had more time for his first love, the farm. 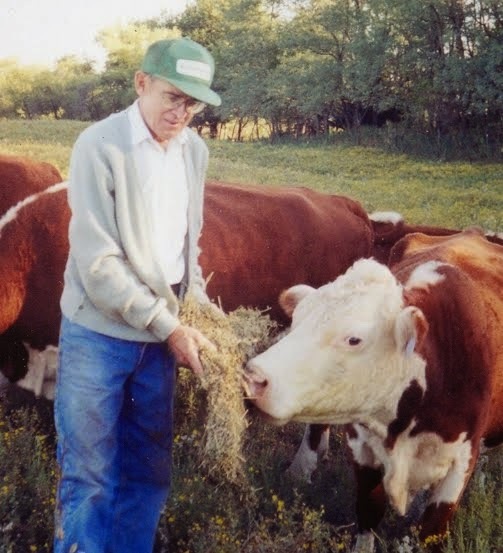 He's 83 now and he still has cattle and hogs. Oh, and a little part-time job doing books for the vet. Four years of marriage and three children under age 4? Might be time to return to college. 4. He has a simple, but fervent faith. We never knew a Sunday that we weren't in church. Or a Wednesday evening. But of course true faith is lived on all the other days, too. And it was. I think I would point to the prayers in our home as cherished evidence. Before every meal. Before bed. When we lost Mom. Yup, there were four of us all together. 5. He is a top-notch negotiator. A few weeks ago a visitor at the farm saw a wheel he was interested in buying. 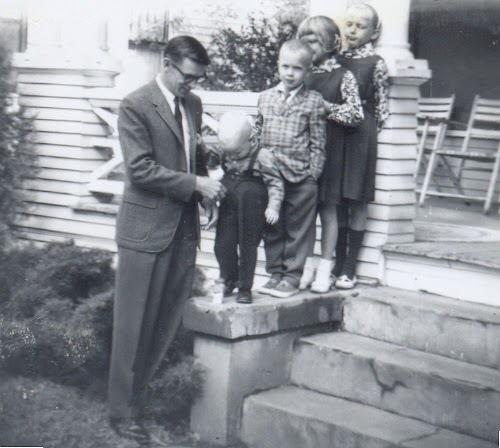 Dad didn't know what it was worth, so he asked the man who offered him $50. "Well," Dad said,"I think $25 would be enough." 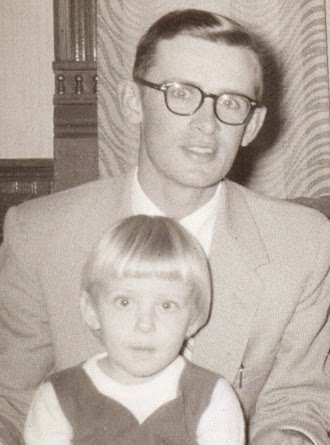 I love this story because it shows who my dad is: Humble. Gracious. Generous. Your dad is a treasure.